Corinne is a Certificated Practitioner and an experienced teacher of Holistic Pulsing. For those wanting to learn some Holistic Pulsing I offer a variety of training to meet individual and small group requirements. I really enjoy teaching Holistic Pulsing in the spirit in which I learnt, in gentleness and respectfulness. 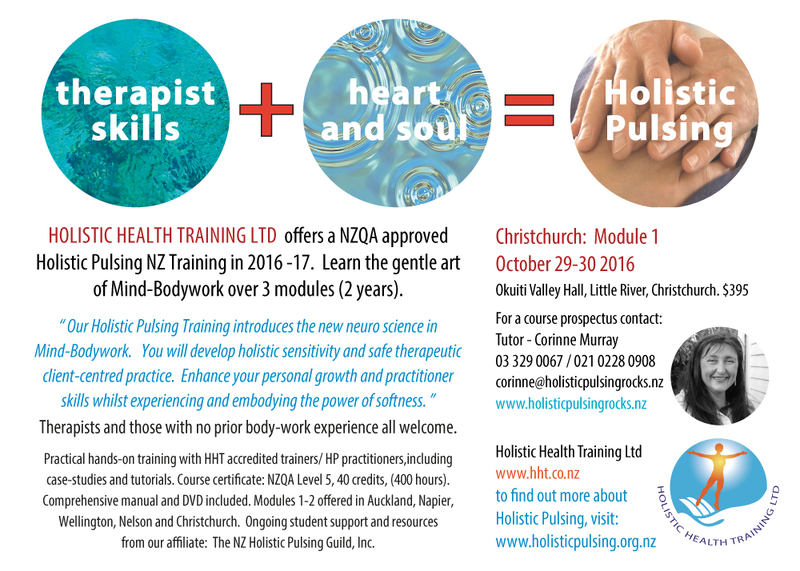 I train under Holistic Health Training, the umbrella of a NZQA recognised Private Training Programme. Please enquire for further details.